Will Xbox One owners also dance with the devil? 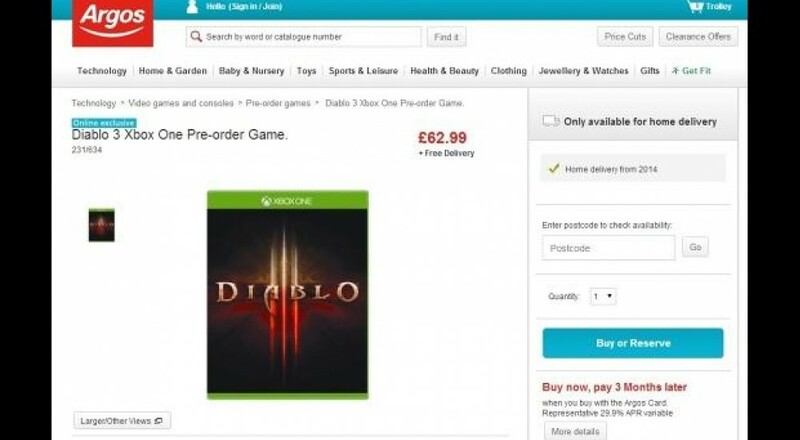 A listing for Diablo 3 on Xbox One has surfaced online for more than one Canadian retailer. Both Best Buy Canada and Futureshop posted entries for the console version before removing them Tuesday night. The game was also reported listed on Argos, a retailer in the UK, though it appears it has been taken down as well. Originally confirmed for PlayStation 4, gamers can expect to see the release of Diablo 3: Ultimate Evil Edition later this year. The updated version of the game includes the soon to be released expansion, Reaper of Souls. At this point, it’s all speculation and rumors, but with more than one retailer listing the game, it’s possible we’ll see an Xbox One release. 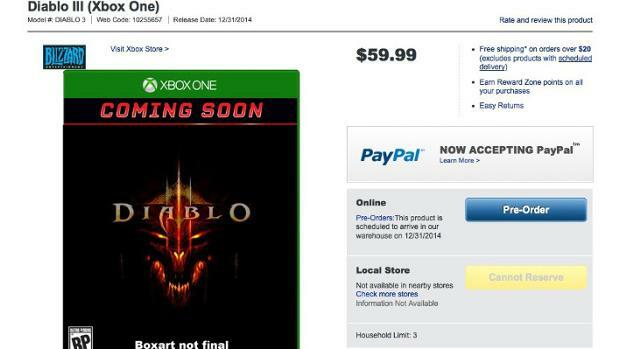 What are your thoughts on Diablo 3 for Xbox One? Let us know in the comments! Page created in 0.4454 seconds.